How do you order Wellbutrin Sustained Release 150 mg online? 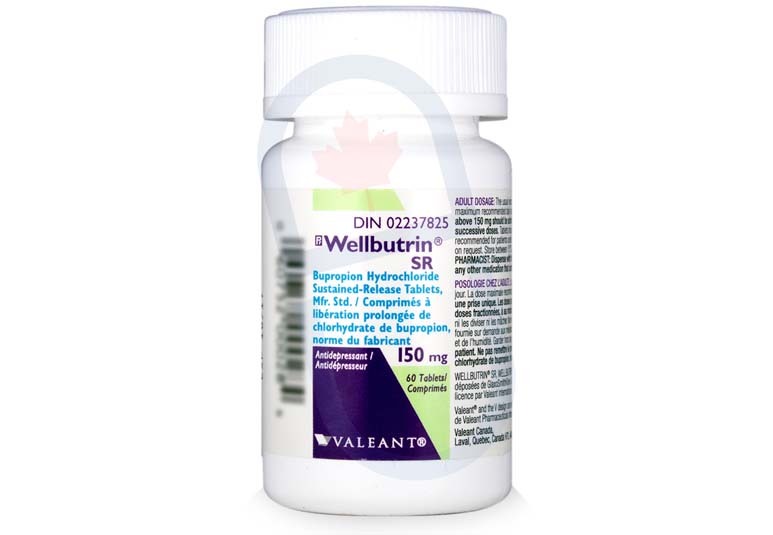 You can order Wellbutrin SR 150 mg from Canada if you have a prescription from your doctor. YouDrugstore is an online pharmacy based in Canada. That means you can buy Wellbutrin SR 150 mg for the same price Canadians pay. All you have to do is register on YouDrugstore.com and then send us your prescription. Once we have received all of the necessary information from you our staff of qualified pharmacy technicians and physicians will review your order. To speed up the process you can ask your doctor to fax us your prescription directly from his or her office. Purchase Wellbutrin SR 150 mg from YouDrugstore and have it shipped right to your home for a low cost in shipping. YouDrugstore also offers free shipping on any order over $100. Wellbutrin Sustained Release tablets are used to treat depression and seasonal affective disorder. Buy Wellbutrin SR 150 mg from YouDrugstore today and find relief from the symptoms of depression as soon as possible. What are the side effects of taking Wellbutrin Sustained Release 150 mg? The most common side effects you may experience when using Wellbutrin SR 150 mg include headache, nausea, dizziness, dry mouth, insomnia or trouble sleeping, abdominal pain, tinnitus, tremors, anxiety, irritability, heart palpitations, sweating and rashes, muscle pain, anorexia, blurry vision, frequent urination, drowsiness, and sore throat. If any of these side effects become disruptive to your daily activities or your daily functioning speak to your doctor. Serious side effects of taking Wellbutrin SR 150 mg include severe headaches, confusion, fainting, seizures, hallucinations, illogical beliefs, and unexplained distrust. Tell your doctor immediately if you experience any of these side effects. In general, however, Wellbutrin SR 150 mg causes fewer side effects overall when compared to selective serotonin reuptake inhibitors (SSRIs) and serotonin-norepinephrine reuptake inhibitors (SNRIs). Talk to your doctor if you have any concerns about taking Wellbutrin Sustained Release 150 mg. When should I use Wellbutrin SR 150 mg? When you first begin treatment with Wellbutrin Sustained Release 150 mg you will typically be taking one tablet per day. You can take Wellbutrin Sustained Release 150 mg with or without food. If it upsets your stomach when you take Wellbutrin Sustained Release 150 mg without food, try taking it with food instead. Your doctor will most likely adjust your dosage as you progress through your treatment. Thus, it is normal for your doctor to ask you to begin taking Wellbutrin SR 150 mg twice a day, 8 hours apart. Never take more or less than your doctor has prescribed, and always take Wellbutrin SR 150 mg according to your doctor's directions above all others. If you are unsure about how to take Wellbutrin SR 150 mg properly call your doctor. Why is Wellbutrin Sustained Release prescribed to treat depression? Wellbutrin SR is one of the most widely prescribed antidepressants by doctors. It contains the generic drug bupropion, which has many advantages over other antidepressants. Bupropion does not usually cause the weight gain or sexual dysfunctions that other antidepressants tend to cause, SSRIs and SNRIs particularly. Wellbutrin is a leading, brand name antidepressant medication that has been consistently used to treat both major depressive disorder (MDD) and seasonal affective disorder (SAD). It has been shown to cause significant improvements in those with depression when compared to those taking a placebo medication. Wellbutrin is not an SSRI or an SNRI like most other antidepressant medications, giving it the added benefit of being able to be used in combination with other medications that treat depression. However, Wellbutrin is also an effective treatment all by itself. Who might receive a prescription for Wellbutrin SR 150 mg from their doctor? If you have been diagnosed as having either major depressive disorder (MDD) or seasonal affective disorder (SAD) your doctor may prescribe Wellbutrin SR 150 mg for you. You should not take Wellbutrin SR 150 mg if you are taking any other medications that contain bupropion. Wellbutrin SR 150 mg use should also be avoided by adolescents because it can lead to an increase of suicidal thoughts. Tell your doctor if you are pregnant or breastfeeding before taking Wellbutrin SR 150 mg. Do not use Wellbutrin SR 150 mg if you are allergic to it or any of its ingredients.